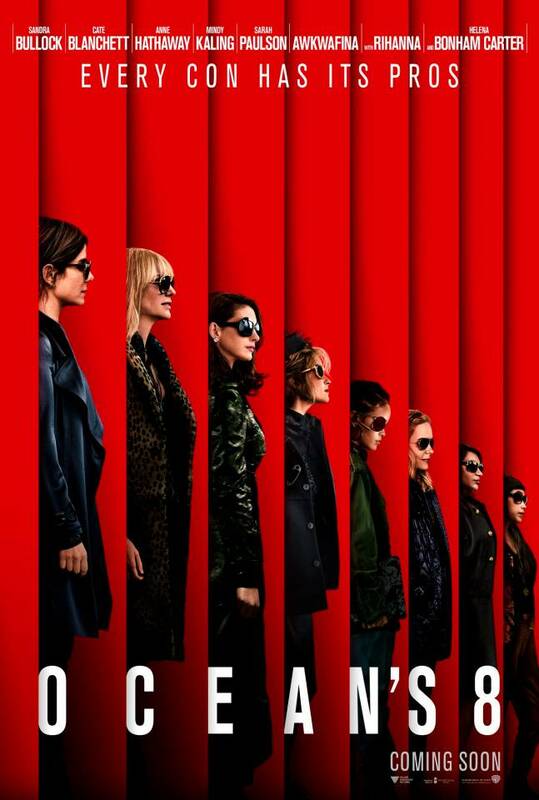 Your first look at the all new all female spin off of Ocean 11's films, 'Ocean's 8,' is now below. Directed by Gary Ross the film stars Sandra Bullock, Cate Blanchett, Anne Hathaway, Sarah Paulson, Rihanna, Helena Bonham Carter, Awkwafina, Damian Lewis, Richard Armitage, James Corden with Matt Damon and Carl Reiner. Danny Ocean's estranged sister, Debbie, attempts to pull off the heist of the century at New York City's star-studded annual Met Gala. Her first stop is to assemble the perfect crew: Lou, Rose, Eight Ball, Tammy, Amita, and Constance.